Yesterday was the first day of spring! I know, people are excited. I love winter, but it has been a tough one this year. We went to brunch on the last day of winter. 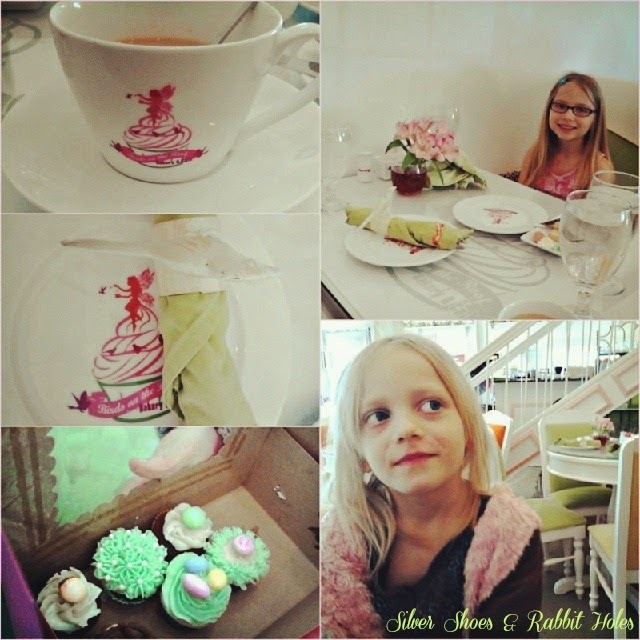 This darling little restaurant/bakery has the sweetest, most spring-like decor. 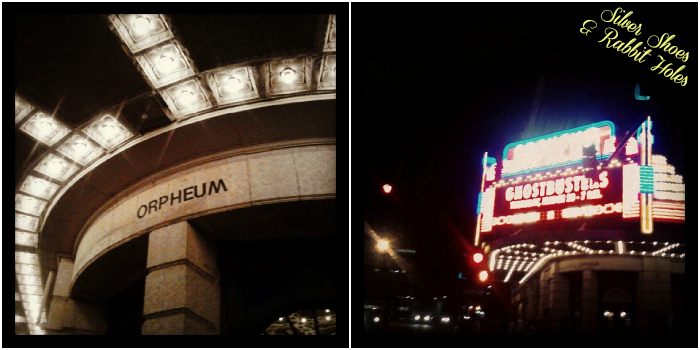 Big Sis and I went to the Orpheum Theatre for their monthly film series. Last month, both girls went with me to see It Happened One Night. (Big Sis loved it, Little Sis did not.) Last night, the movie was a bit more contemporary: Ghostbusters! A bit more contemporary... Sheesh, I was younger than Big Sis the first time I saw Ghostbusters on the big screen. Wow. It was fun seeing it with a theater full of people who love it as much as we do. "Who ya gonna call?" Little Sis went to my grandmother's house instead. She was not in the mood for '80s comedies. Rather, she was in the mood to raid my decidedly '80s toy collection, which my grandmother lovingly stores for me. 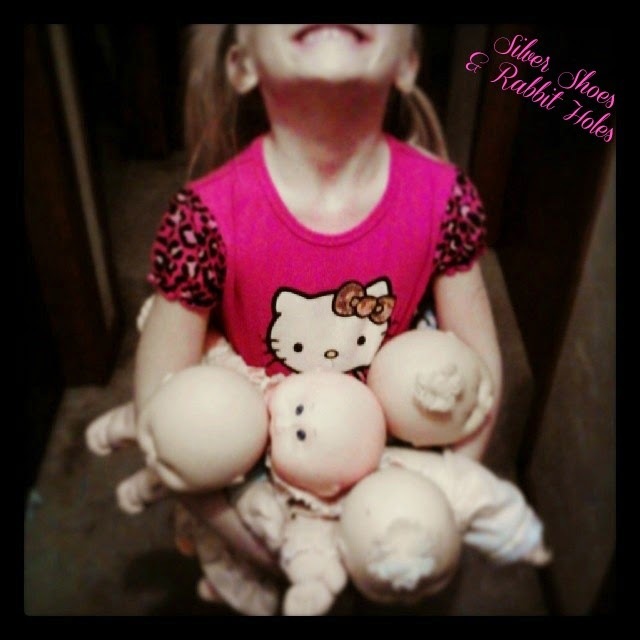 Her mission: "I want to find all your bald Cabbage Patch Kids!" By that, she meant my CPK Preemies and my Newborn Kid. On the grown-up book front, I have a wonderful book to share with you! I am a big Alice Hoffman fan. In my book store days, co-workers would often set aside any Hoffman galleys that came into the store, knowing my love for her novels. My favorite past books of hers include Practical Magic, The River King, and Blue Diary. Last month, she released The Museum of Extraordinary Things, a historical novel set in New York, 1912. The usual whimsy is still there, but tempered with heavier things: freak shows, fires, murder, labor disputes... The book weaves real historical events and people into an original story about a "human mermaid" and a Jewish photographer, charged with solving a missing person's case. Here is the book trailer. 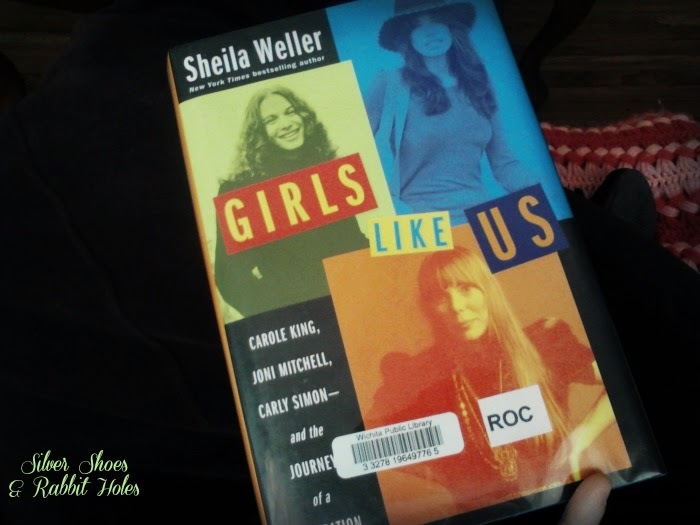 I am currently reading Girls Like Us: Carole King, Joni Mitchell, Carly Simon - and the Journey of a Generation by Sheila Weller. I found an excerpt from an old issue of "Vanity Fair" online one evening, and decided I wanted to read more. My own Women's History Month reading, if you will. I've listened to my own little playlists on Spotify and YouTube as I read, sad that my stupid voice keeps coming and going, not allowing me to sing along. I also found this very cool website, which provides listening accompaniment, chapter by chapter. 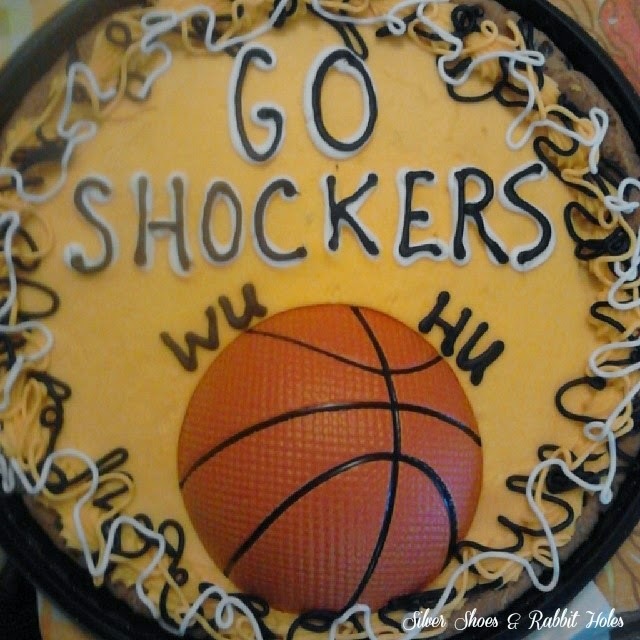 Here is a video provided by Simon & Schuster of author Sheila Weller, discussing the book. The girls and I are still working our way through our Women's History Month stacks. Spring break is almost over. I wish it had been more fun, but at least it gave everyone time to recover from our nasty cough/cold thing. (So types the woman with the sore throat and cough that came back!) Today, the whole family is seeing an early matinee of Muppets Most Wanted, which we're very excited about. so much awesome and funness! i've made up more non-word versions of the word fun than i think are humanly possible :) how did Big Sis like Ghostbusters??? Andrew and I were just talking about that -- I think parts of it would scare J still, but I know so many parts she would laugh and laugh and laugh. Maybe next yr! SO excited about Muppets!! Can't wait to read that Alice Hoffman book!!!!!!!!!!! We own Ghostbusters on DVD, and it's on and off Netflix and Amazon. She'd seen it several times! Her sister insisted that she didn't like it, even though I always figured she would. We liked the Muppets! Well, Little Sis was disappointed. She said, "I thought it would be funnier, because of the commericials," and "I liked the last one a lot better." Poor kiddo. She LOVED the last one. 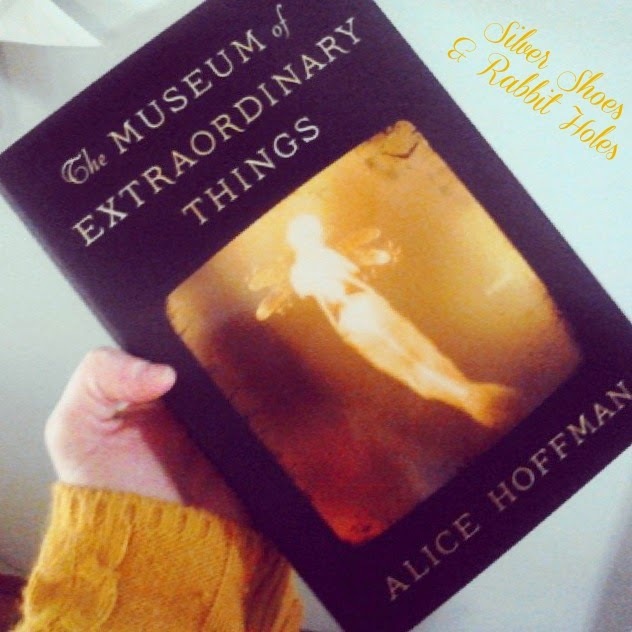 Read the Alice Hoffman book! Loved it! Yay for muppets-hope you enjoy it! My first Preemie was my second CPK doll. My first one was finally found by my grandmother for $65, the Christmas of the Cabbage Patch Craze. In the end, I had 9 CPKs and two Koosas, the weird CPK pets. I remember most of their names, too, until the very end. The 3 preemies in the picture above, for example, are Lotta Gabie, Suzie Marla, and Logan Meyer. I forgot the name of the little Newborn, though. He was my last CPK. I liked the Muppets - Little Sis was disappointed, but Mr. B, Big Sis, and I had fun! The Alice Hoffman book is great. Happy Spring and Weekend! Cabbage Patch Kids, Ghostbusters, and a springy meal? Perfection!! Back to the '80s we go! My boy has been nagging me non stop to go watch the Muppet movie! How did you like it? And that brunch looks lovely with the beautiful tea serving! I want to go somewhere fancy for brunch one day too! Sigh. I'll have to ask hubby if he will want to go next week and I hope the weather will be good enough for us to eat outside on the patio! Have a great week Danzel!